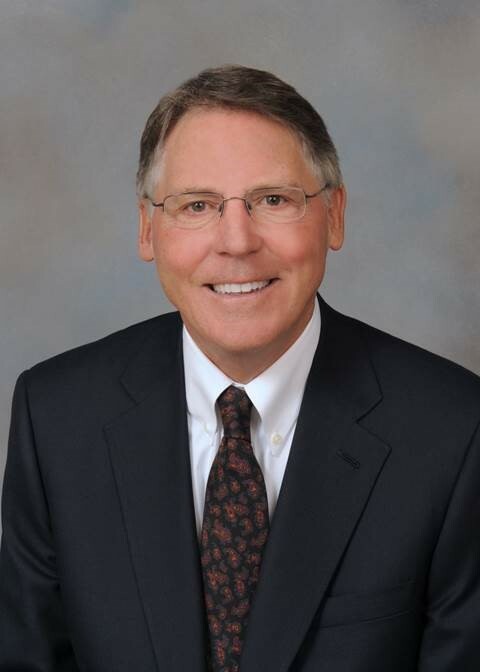 Veritas Valuations, Inc. was recently privileged to interview David C. Lennhoff, MAI, SRA, AI-GRS, who is a senior director with Altus Group US, Inc., which is officed in McLean, Virginia. David’s practice centers on litigation valuation and expert testimony relating to appraisal methodology, USPAP, and allocating assets of a going concern. He has taught nationally and internationally for the Appraisal Institute, recently in Tokyo, Japan, Beijing and Shanghai, China, Berlin, Germany, and Seoul, South Korea. He has been a development team member for most of the Institute’s income capitalization courses and was editor of their Capitalization Theory and Techniques Study Guide (3rd edition). He also was the lead developer for the new asset allocation course, Fundamentals of Separating Real Property, Personal Property, and Intangible Business Assets, and editor of the two accompanying business enterprise value anthologies. Additionally, he authored the Institute’s Small Hotel/Motel Valuation seminar. David is a member of RECGA, a national organization of analysts and academicians founded by the late William N. Kinnard, Jr. Ph.D. He is a past editor-in-chief of and frequent contributor to the Appraisal Journal. David has a unique background as he served as an infantry platoon leader in Vietnam before getting into the appraisal business. Russell Roberts had the honor of interviewing him over several days through email. Read his thought-provoking and engaging answers to Russell’s questions below. First things first. Thank you for your service. After your time in the military, what series of events led to your interest in the valuation profession? I entered the field completely by accident. I took a job with a savings and loan association in the construction loan department. I had summer experience with construction and enjoyed it. That quickly transitioned to becoming the construction loan officer. That position also included appraisals, about which I knew nothing. Fortunately for me, the S&L was very pro-education so I was able to take Appraisal Institute courses frequently. That position quickly developed into a national appraisal department, which I ran for many years before forming my own practice. Since then, you’ve joined Altus Group, US. Tell me a little about your role there. I arrived at Altus in 2014, when they purchased part of SC&H. My role here is the same as at SC&H, which is to establish an elite litigation practice. We handle litigation support across the US and are involved with all types of litigation and properties. My client base is diverse: I do a lot of work for the United States Department of Justice, and an equal amount for major property owners. Examples of recent assignments include salt domes in Louisiana, the United Flight 93 crash site condemnation in Pennsylvania, Disney resort hotels in Orlando, and SeaWorld Orlando. One aspect of your litigation practice has been of particular interest to me, specifically, litigation related to tax appeals. When presenting your case, what appraisal concepts are the most important for others to understand in these kinds of cases? That is an excellent question, as surprisingly, most of the concepts are fundamental ones. For example, in big box retail the concepts that are most meaningful to proper valuation analysis are clarity with respect to rights appraised (fee simple or leased fee), type of value (market value as distinguished from either use value or investment value), and potential functional obsolescence associated with most build to suit properties. For hotels and malls, as examples, the key issue is how to separate the real property from the tangible and intangible personal property. This same issue arises with landfills and gravel pits, salt domes and iron mines. Mr. Lennhoff, you are a thought leader – teaching internationally and writing, editing or being somehow involved in much of the educational material published and taught by the Appraisal Institute. I have read much of what you wrote in A Business Enterprise Value Anthology, Second Edition and also an article you wrote available online explaining proper valuation techniques for big box retail stores. Your arguments are compelling. It’s hard for me to imagine courts or taxing authorities ruling against these methods unless they either don’t understand the issues involved or unless other factors are taken into account, e.g. it isn’t politically expedient to undermine the tax base for local residents. What kind of progress are you seeing with respect to trends in court and tax appeal decisions? I have participated in many cases across the country involving big box retail. I agree. The underlying principles are hard to refute. Market value means the assumption of a transaction and the rights appraised mean exactly what they say. The fact that build-to-suit property often does not resell at what it cost to build is not an unusual real estate phenomenon. Custom-built houses typically won’t trade to a second generation user for what they cost the original built-to-suit customer. The case law has been a little uneven; however, most seem to get the answer right. Certain jurisdictions are wrestling with the ramifications of that, however, as the corrections to the assessments result in a sizable tax hole that must be backfilled from somewhere. As a result, some jurisdictions try to force the valuation techniques to match the tax revenue they have already budgeted. That is how we end up with such a wide chasm between assessors and property owners. You simply cannot change the meaning of words to match what you want as a result. It is important to keep in mind, however, the appraiser doesn’t get to pick the appraisal question, that is, what value of which rights. That is the responsibility of the various legislatures. Once the question upon which the assessment must be based has been decided, then the appraiser must answer it honestly and fairly. You simply cannot change the meaning of words to match what you want as a result. The answer is, you cannot. They mean what they mean. I love that answer, Mr. Lennhoff. Words have meaning. In my experience, it’s common for ad valorem taxes on buildings occupied by nationally branded tenants to be too high because intangible assets are improperly allocated to the real estate. This is a legitimate situation in life when an intellectually honest argument can serve the needs of the client. How would you advise appraisers whose primary client base consist of lenders? Are property owners able to borrow against intangible assets? The OCC has been quite clear on this topic, Russell. Their chief appraiser, Robert Parson (he may have moved to a new position by now), spoke quite strongly at a recent Appraisal Foundation symposium on the topic of intangibles in which I participated, emphasizing lenders who were making a real estate loan must have a real estate appraisal, not an appraisal of the total assets. Of course, what they are supposed to do does not always match what they do. Parson did say lenders were allowed to make business loans, but that they had to be separate from a real estate loan, at least that is the impression I was given by his comments. What resources does your firm provide and what educational resources are available for additional study about properly allocating intangible assets? My pleasure, Russell. My practice centers on litigation valuation and expert testimony. I do a lot of methodology testimony related to how to allocate the assets of an ongoing concern. For appraisers interested in pursuing the topic I highly recommend the Appraisal Institute Course 833, Fundamentals of Separating Real Property, Personal Property, and Intangible Business Assets. As the lead developer for the course and an instructor, I can attest to its value in establishing the principles and concepts that underpin the methodology.